The Atom LT and SL products have non-locking zippers by design, making them easier to operate with one hand. This design feature also helps to limit the possibility of damage to the zipper and lightweight adjacent face fabric. The Atom SL Vest offers minimalist insulation for warmer days or higher output activities. The Tyono™ 20 shell is lightweight, durable, and wind resistant, and Coreloft™ Compact insulation is compressible, dries quickly, and allows for airflow. 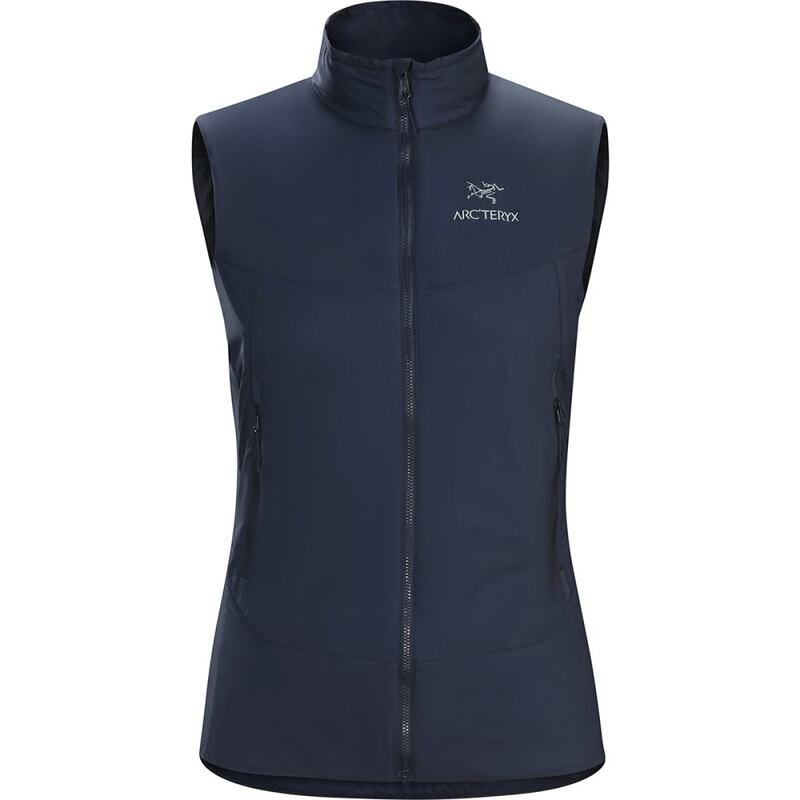 Lightweight air-permeable fleece side panels provide ventilation and thermal performance. Composite Mapping is used to place materials and insulation types in the areas that will provide maximum benefit. Atom: Versatile synthetic insulated mid-layers with a high degree of weather resistance. Superlight materials and design, emphasizing lightweight and packability over durability. Arc'teryx Essentials: Versatile high-performance designs for diverse activities and conditions. Durable and light. Synthetic Insulation: Manmade insulation with quick dry times and durability retains warmth when damp. Weight: 135 g / 4.8 oz. Center back length: 66.5 cm / 26.2 in.